During our school times, we used to play many games like Pen fights, book cricket, X & 0's , etc. One of them was Red hands, it was one of the most played games during our school times. How we used to play it? 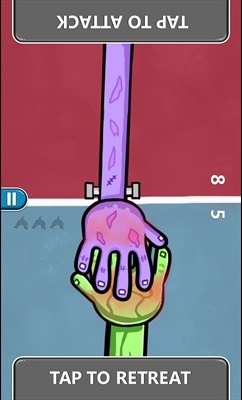 One player (the slappee) places his hands palm down, hovering above the other player's (slapper) hands. The other player hovers his hands below the first, palms up. The two players' hands should be barely touching each other, and all the hands should be around mid-torso height. The slapper is on offense, and attempts to bring his hands over to slap the backsides of his opponent's hands. This must be done with sufficient speed, because the slappee's goal is to pull his hand away, and out of the area where the hands overlap, to avoid the slap. If the slapper misses the hands of the slappee during the slap, then the roles switch. However, the slappee cannot flinch too much. 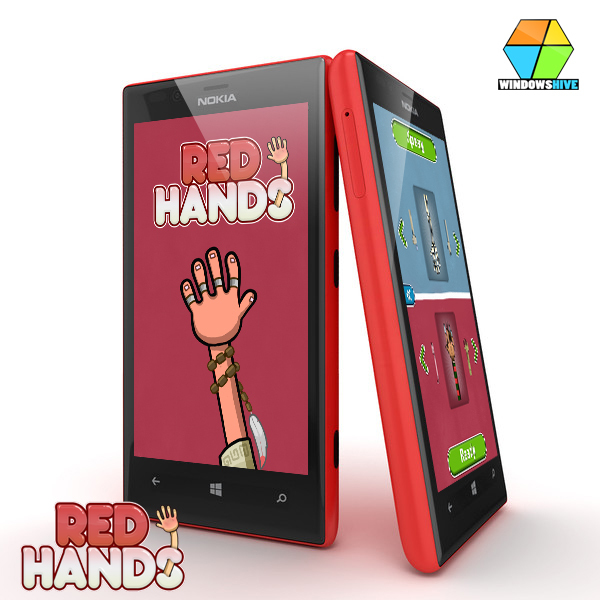 Red Hands - 2-Player Games, Developed by Peaksel D.O.O an digital media company located in Nis,Serbia. it's based on a game for kids known as “hot hands”, “slaps” or even in some countries “slap jack”. It belongs to games for girls and boys, but anyone who's competitive can play this reaction game. If you like to play two player games, this is a perfect choice for you! Download "Red Hands - 2-Player Game" from here ==> "Smash me and you'll be redirected to the Store"